Your beloved ones will surely feel extra special when receiving this delightfully delicious baked gift! 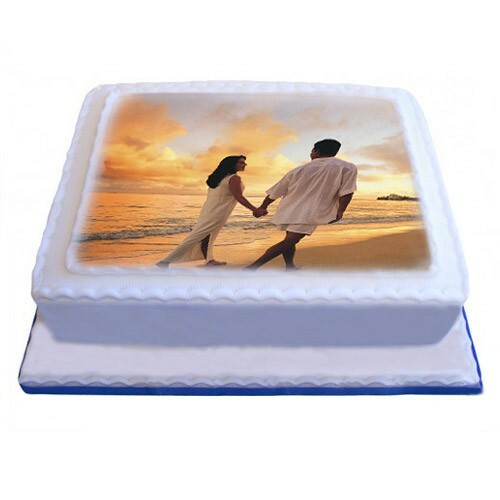 This medium sized Cake will surely be a great way to present your love with a customized picture in a lip smacking way. Note: Email us the image you wish to print and we'll take care of the rest. Send your email to [email protected] and refer to your order number.